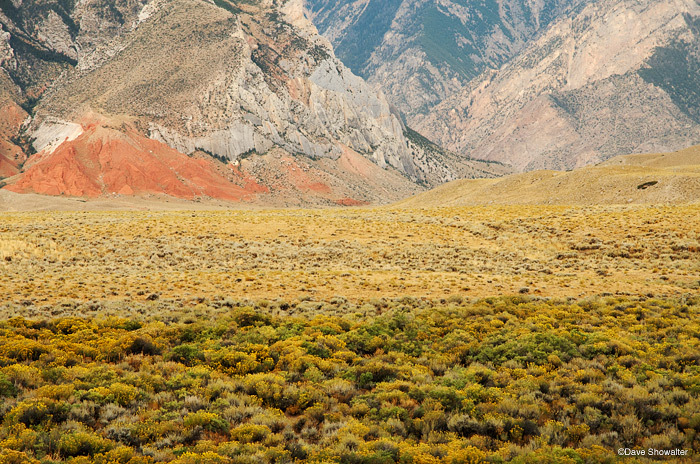 Blooming rabbitbrush colors the foreground leading to foothills that rise from the sagebrush. Clark's Fork Canyon opens just to the right of the red rock in this image. Photo © copyright by Dave Showalter.